Novara made a great last ditch attempt to avoid relegation, with wins against Cesena and Lazio in their last 4 matches. But it wasn’t enough for Attilio Tesser’s squad. So tomorrow, they will be saying goodbye, too, goodbye to Serie A. Saying goodbye. Nothing else matters. 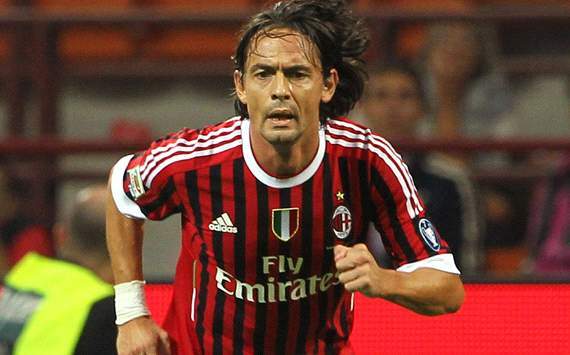 I could tell you about who played in their last match on Sunday against Cesena. Marco Rigoni scored a hat trick for their 3-0 win, scoring two penalties along the way. The complete squad was Coser, Centurioni, Lisuzzo, Pesce, Garcia, Morganella, Mascara, Rogoni, Porcari, Jeda, and Caracciolo. It might also be wise to point out that Mascara is suspended and will thus miss our match. But really, nothing else matters. What could matter is if and when our legends will take the pitch for a farewell. 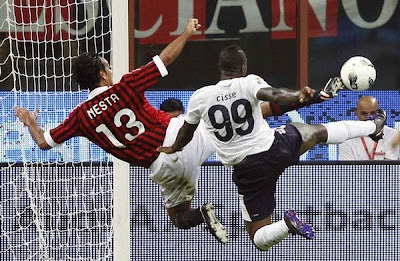 Nesta and possibly Seedorf, if he plays, are the most likely to play 90 minutes. It is rumored that Nesta will wear the captain’s armband, and I hope this is true. I would bet on a Gattuso start, and possibly Pippo, but with subs planned. I don’t know if Zambrotta is even fit, and he is rumored to be leaving too, so it would nice for him to be able to get a few minutes, too. Also rumored to be leaving, but undecided as of this writing is van Bommel. My theory is that he is waiting to announce so as not to take anything away from the farewell of the legends, because that’s just the kind of guy he is. There are a number of other players rumored to be leaving or with contracts up. In fact, rumors of Pato to PSG have resurfaced this week, and it was rumored he may play a few minutes tomorrow. For me, if he does, that will be telling. If we don’t see him, I think the intent will be to keep him. Thiago Silva was rumored not to play again, as he is trying to be 100% fit for the Olympics this summer. Don’t believe any other rumors you hear about him. Even if they were true, right now, nothing else matters. 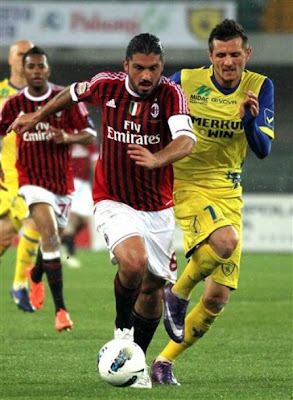 Abate is suspended for this match due to card accumulation, so if De Sciglio’s ankle has healed, perhaps he will play. Abbiati is still injured, Amelia will almost undoubtedly start in his place. Bonera and Muntari both sustained injuries on Sunday, Bonera will almost undoubtedly be unavailable, Muntari is a possibility. If we are sending Aquilani back to Liverpool, I hope he gets to start, as his appearance in one more match will not invoke the automatic buyout clause in his contract. And if we are going to send Maxi Lopez back to Catania because of his price tag, I think he deserves a start. Ibra can have a rest or he can play, but maybe not 90 minutes, just to be sure everyone else gets to play. 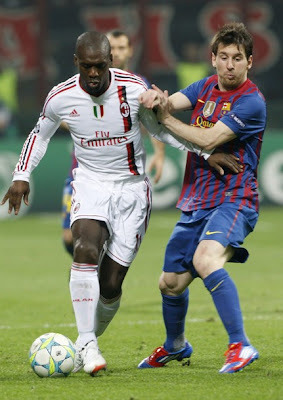 Cassano really needs to play 90 minutes so he is ready for Euros, I hope Allegri will do this for him. I could try making a lineup, but honestly, I have no idea how Allegri will handle this one. He has never been one to show much sentiment, but I hope he has a heart and lets us see everyone one last time. We should win this, keep a clean sheet, and send our legends off in style, but at the end of the day, saying goodbye at all is the most important thing. Nothing else matters. I know I will wake up way too early for this match, but I am a sentimental fool, and cannot imagine sleeping through the farewell party. It’s not as if the players will know if I watched it live or if I watched it delayed, or even if I watched it at all. But my heart will know, and sleep will wait while I say an admittedly very tearful goodbye to the men who are legends and heroes to me. Nothing else matters. This match will be broadcast only on ESPN3 in the U.S.